On behalf of Admin of JML Law, A Professional Law Corporation posted in Sports Injury on Thursday, Jun 14 2018. Sports and injuries are practically synonymous, as you cannot really think of a sport that would be completely free of injuries or harm (hey, even players of ping pong suffer muscle strain as well as shoulder or wrist injuries, among others). Some sports are more dangerous than others, and both young athletes and their parents realize this when participating in sports. This is especially true for contact sports. And while California law entitles you to sue the negligent or reckless party in case of sports injuries, there are quite a few challenges that you must overcome in order to file a sports injury claim in Riverside or elsewhere in California. One of the biggest challenges that may prevent you from recovering compensation are: a waiver of liability and assumption of risk. What is a waiver of liability in sports injuries? In order to understand why a waiver of liability exists in the first place, it is important to keep in mind that injuries are an integral part of sports, especially contact sports. “Without this waiver of liability, sports would never be the same, as coaches, instructors and trainers would be swamped with sports injury claims filed against them and litigation,” explains our Riverside sports injury attorney at the JML Law. A waiver of liability, which pretty much every amateur and professional player signs before joining a team or class, makes coaches, instructors, professional trainers and other parties immune from sports injury claims. In no way does it mean that coaches, instructors and professional trainers can do whatever they want and put their players’ health at risk just to win a game, tournament or championship. Our best sports injury lawyers in California explain that while coaches, instructors and trainers have no legal duty to eliminate or protect a player from all the risks presented in sports, they do have a duty to exercise a high standard of care NOT to increase the otherwise high risk of injury inherent in the sport. Another vital agreement that is potentially standing in your way of suing negligent parties for their wrongdoing or misconduct is an express assumption of risk. Our experienced sports injury attorney in Riverside explains that while by signing a waiver of liability, you promise not to exercise your right to sue the responsible parties for injuries, damages or harm caused by negligence or wrongful behavior of a potential defendant, by signing an express assumption of risk you agree not to expect the potential defendant to protect you from or prevent possible sports-causing injuries or act carefully. 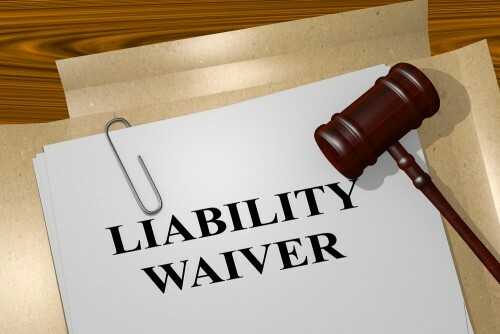 When signing a waiver of liability, you eliminate a remedy for negligence or wrongdoing on the part of the potential defendant (coach, instructor, trainer, school, sports facility, etc.). When signing an assumption of risk, on the other hand, you eliminate the potential plaintiff’s duty of care and assume the risk of possible negligence or wrongdoing. Meaning: in case of breach of that duty of care, you will not be able to sue the potential defendant for any injuries, damages or harm caused to recover compensation. In view of the above, never should you ever sign a waiver of liability or express assumption of risk if these agreements have anything to do with sports injuries without seeking the legal advice of a Riverside sports injury attorney first. Contact the JML Law to get a free consultation today. Call at 818-610-8800 or complete this contact form.